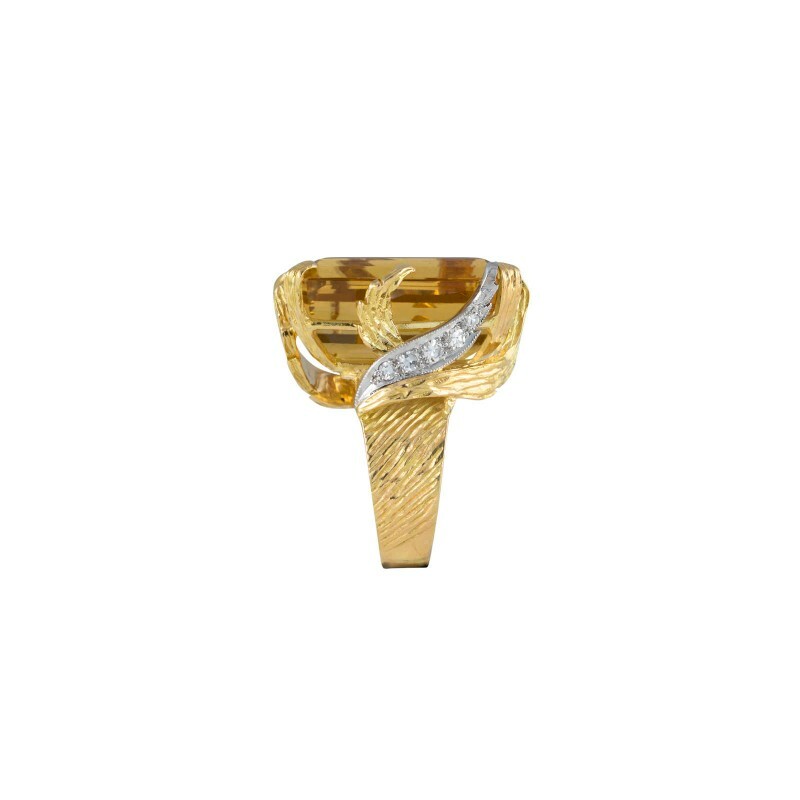 The Diamond Feather Cocktail ring is an elegant ring in yellow and white 18 carat gold set with an emerald step-cut honey gold citrine gemstone and diamonds. 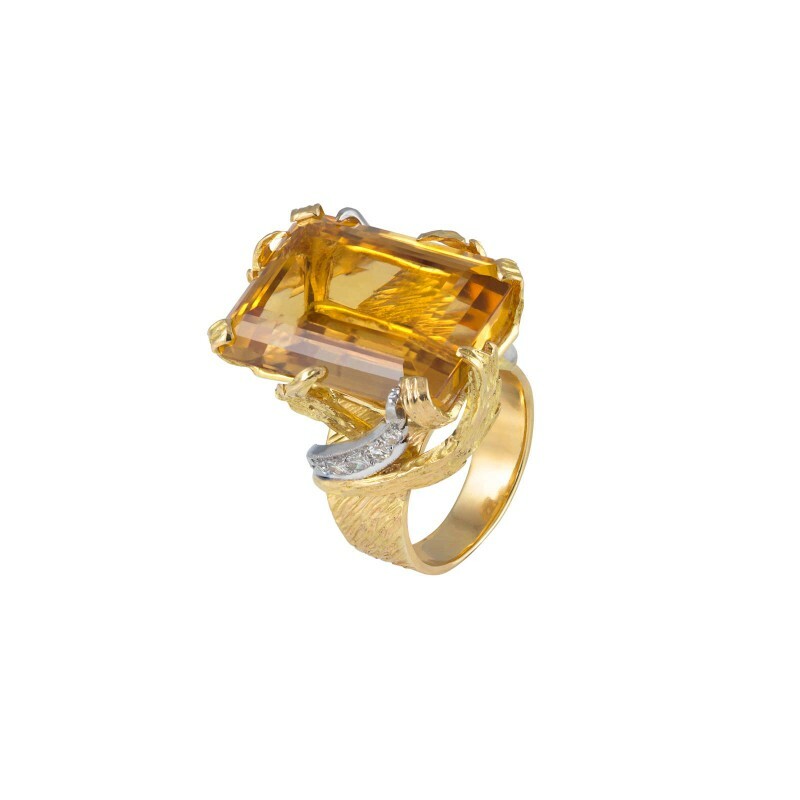 An exclusive piece from Daou Jewellery, this ring is a reinterpretation of a heritage piece from the Daou archives and is available with any preference of gemstones as a handmade commission. The design reflects both modern tastes seen in Daou’s recent collections as well as the artistic sensibilities of the Daou Legacy. Dalia Daou Jewellery is a London based Fine Jewellery brand, relaunched by Dalia Daou, the third generation designer whose unique, eye-catching jewellery designs are set to revive the glamorous 1930’s Beirut brand – Admired and desired by Hollywood’s rich and famous and worn by Brigitte Bardot, Grace Kelly and HRH Queen Elizabeth II..